Congratulations Pat on being our Conservative Book Club “Member of the Week!” Tell us a little about yourself and the work you do as Vice President of the Young America’s Foundation (YAF). In my role as a vice president, I work with our team at Young America’s Foundation to introduce high school and college students to conservative ideas. We do this through our conferences, campus initiatives, seminars, Young Americans for Freedom chapters, campus lectures and many other resources. We also work to introduce students to the life and accomplishments of President Reagan by having them visit Ronald Reagan’s beloved ranch, Rancho del Cielo, in Santa Barbara, California, during our programs held throughout the year. On a daily basis, I work with students to help them host prominent conservatives or free market advocates at their schools. 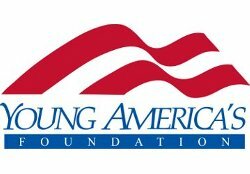 In most cases, if not for the speakers Young America’s Foundation provides to campuses, most students would never hear conservative ideas during their academic careers. These events often draw hundreds, if not thousands, of students to hear conservative ideas, from a conservative, and not through the filter of the mainstream media or a biased professor. What got you interested in the work you do? When I was a student at Penn State, I first got involved with a YAF chapter on campus, and Young America’s Foundation was our go-to organization for help with resources, books, speakers, and anything else that our chapter needed. It’s a privilege to help young conservatives make an impact at their schools the same way Young America’s Foundation helped me when I was a student. It’s been decades now since conservatives began alerting the public about education’s lurch to the Left. Do you think things on college campuses have gotten better and are more accepting of conservative opinions now than in the past? Sadly, that is not the case. Young America’s Foundation just released a study that revealed the top 100 schools, as rated by US News and World Report, had more liberal commencement speakers to conservatives by a 6-to-1 ratio. In addition, a number of our YAF chapters have been attacked by the campus Left for their activities, but with our help, these students are able to successfully defend their rights. YAF also runs the National Journalism Center. Can you tell us a little bit about the program for aspiring journalists? The National Journalism Center (NJC) provides unique opportunities for aspiring journalists. NJC participants receive on-the-job experience through internships at prominent media outlets combined with weekly educational seminars where they learn to become what Robert Novak called truth-seeking journalists. Throughout the 12-week program our NJC students learn from prominent journalists and public policy experts, writing exercises, training in investigative reporting, reading assignments, and current events and policy discussions. Interns spend the majority of the week on assignment with their media outlet learning from professionals in the journalism field. NJC is the only program of its kind offering a multi-week experience for conservative students interested in bringing accuracy and facts to the mainstream media. Dinesh D’Souza’s Illiberal Education was one of the first conservative books I read and helped galvanize my interest in conservative activism, along with the Foundation’s Conservative Guide to Campus Activism. Leonard Read’s Anything That’s Peaceful was also very influential on my philosophy. Where else can you go to learn about the best conservative books available? I am especially thankful for the conservative classics section as those are the books that truly every conservative needs to read. Overall, the CBC is my source for discovering both timeless classics and the latest, compelling books I need to catch up on.